The litigation history is tortured, and the court rejected large blocks of fees and expenses sought by the plaintiff as not covered by the company’s indemnity obligation or not reasonably incurred, awarding some $241,000 of approximately $1.2 million that was sought in the case. It also awarded approximately $80,000 for the costs of pursuing the action to secure indemnity. The case is notable for the manner in which it dealt with the issue of attorneys’ fees that were then unpaid, but for which there was an arguable liability under an oral agreement to pay normal hourly rates in defense of counterclaims made Sweports in lawsuits brought by Dore. It is also noteworth that the court construed language used in the corporations statututes of many other states. The statute in DGCL § 145(c) makes that indemnification mandatory if a former officer or direct has successfully defended the case. To the extent that a present or former director or officer of a corporation has been successful on the merits or otherwise in defense of any action, suit or proceeding referred to in subsections (a) and (b) of this section, or in defense of any claim, issue or matter therein, such person shall be indemnified against expenses (including attorneys’ fees) actually and reasonably incurred by such person in connection therewith. The defendants in the action argued that the “actually and reasonably incurred” requirement had not been met because plaintiff’s attorneys were engaged on a contingent fee basis. The defendants argued that based on the Delaware Supreme Court’s opinion in Scion Breckenridge Managing Member LLC v. ASB Allegiance Realty, 63 A3d 665 (Del. 2013) that contingency fee payments were not recoverable. The court held there that the reimburse and incurred requirement “clearly and unambiguously indicate that [the plaintiff] must have been liable for a payment at some point. The defendants argued that there was no agreement to pay the plaintiff’s law firm to defend the counterclaims, that “as a practical matter” the law firm would not seek recovery and that it had not invoiced the plaintiff for those costs. Plaintiff countered that he had an oral agreement to pay the law firm’s hourly fees and disbursements if the lawsuit to recover fees was unsuccessful, which is an enforceable contract under Illinois law. Given this record, the plaintiffs have an enforceable oral contract with the Law Firm. 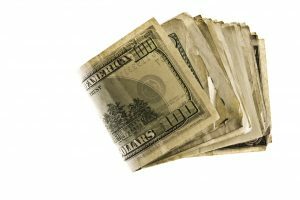 They incurred the amounts for which they seek indemnification in the sense that the Law Firm has a legal right to recover from the plaintiffs the amounts that the plaintiffs sought in this proceeding to the extent Sweports does not pay them. This decision has held that Sweports has no obligation to pay a substantial portion of the amounts that the plaintiffs originally sought. The plaintiffs have a legal obligation to pay those amounts to the Law Firm, just as they would be obligated to pay the amounts that Sweports must indemnify. The fact that the Law Firm has fronted the amounts to date does not prevent the plaintiffs from seeking to recover from Sweports. The opinion gives some guidance on how to structure a fee arrangement when the law firm has advanced its own time and expenses. A contingent fee arrangement is risky, since it could be a bar to a statutory provision. The concept that indemnity covers expenses “incurred” is not unique to Delaware law.